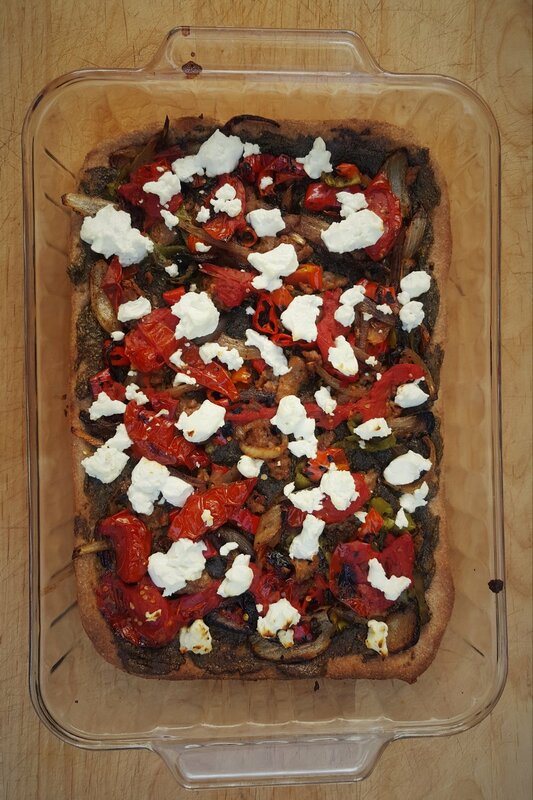 This pizza dough recipe features our All Purpose Whole Wheat Flour. It has wonderful flavor and a light texture. Time is an ingredient with this recipe so there isn't a lot to do but it does have periods time to rest (so it can get more stretchy) and proof (so it can develop flavor and texture). For best results let dough proof in the fridge overnight. Plan on mixing the dough at 8pm the night before you plan on making pizza, refrigerate, take dough out of fridge around 4pm the following day to bake pizza around 6:30pm. 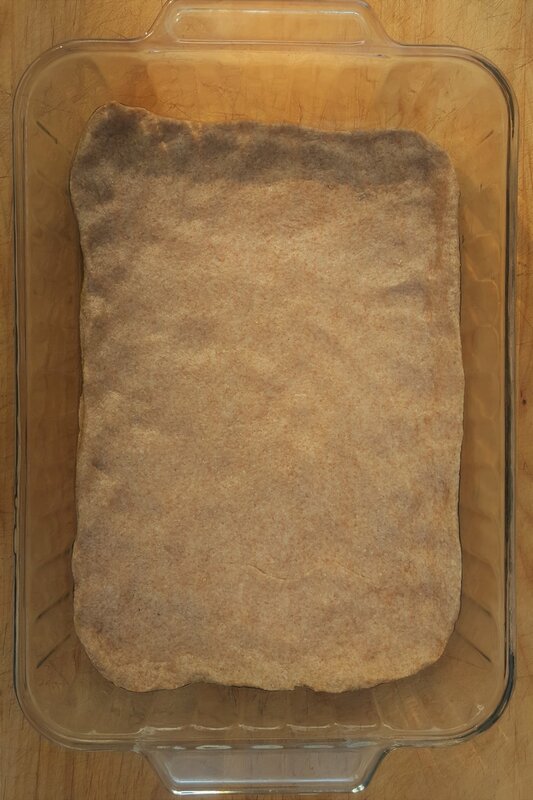 Mix the flour, yeast, honey, olive oil, and the 1 cup water until a shaggy dough is formed. Let rest for 30 min. Add the salt and the remaining water. Knead by hand or in a stand mixer until a smooth soft dough is formed. Cover the dough and let rise for 30 min. Then refrigerate covered overnight. Remove the dough from the fridge 2 and a half hours before you want to bake the pizza. Divide your dough into two equally sized balls. Lightly oil your pans with olive oil and pat and stretch your dough so it fills the pans. If you find that your dough pulls back when you stretch it, let it rest for 15 minutes and then stretch it again. Let your pizzas rise for about two hours, until they are very puffy. When the rise is almost over, preheat your oven to 450 degrees. Bake on the bottom shelf of your oven for 8 minutes. Take it out of the oven and top with cheese, if desired. Return the pizza to the top third of your oven and continue to bake until the crust is browned and the cheese melted about 8 to 10 more minutes. Remove from oven, let cool for 5 minutes, slice and serve! To reheat: Toast bottom on a cast iron skillet and then crisp under broiler for a few minutes or in 350 degree oven until toppings are heated through. Recipe by Aaron Senter of Bakeshop Californica.